Okay, so do you remember that blog post I wrote around two weeks ago. This one here >> Table Talk: A Beauty, A Year, and a Day Zero. It seriously was a fangirl week for me. So much good news in the entertainment industry. So much. 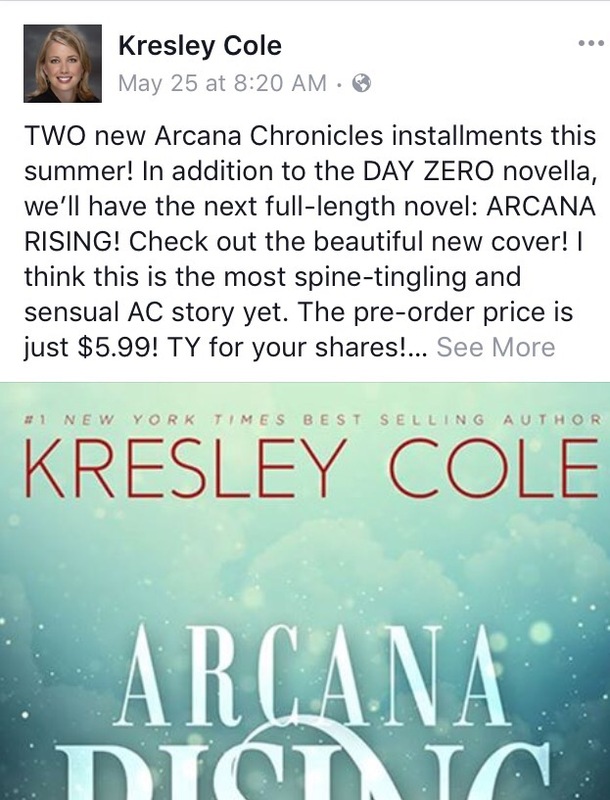 Well, the day after I wrote that post, I kid you not–the next day!, Kresley Cole announced that not only would Day Zero, an Arcana Chronicles novella, would be released on August 1st, but this fandom would be receiving the next installment in the series only fifteen days later! So not a month or two after the novella is released and hopefully can tie us over until fall, but fifteen days! I cannot tell you just how anxious I am. And so I am super excited that we don’t have to wait long. I am nervous that this one will end on another whopper of a cliffhanger, but I will press on to the end because this series is that good. So, let the countdown begin!